The Tús scheme can act as a stepping stone for the long term unemployed and this is particularly effective in the Healthcare Sector, Childcare Sector, Special Needs Organisations and Hospitality. Furthermore, it provides a daily structure and builds confidence through the learning of new skills. 1 in APA Charity Shop. 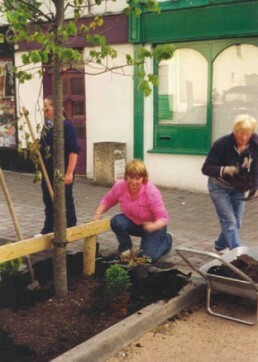 ” Hacketstown community currently has 4 workers on the TUS scheme working with the Tidy Towns for 2018. The SICAP Programme funds the weekly running of the Homework Club in Saint Joseph’s school which provided academic after-school assistance to children in a supportive environment. This is one of a number of after school supports in rural Carlow offered by Carlow County Development Partnership. For further details get in touch with Dylan. Carlow County Development Partnership responds to the rural, enterprise, social inclusion, and community development needs of the county.